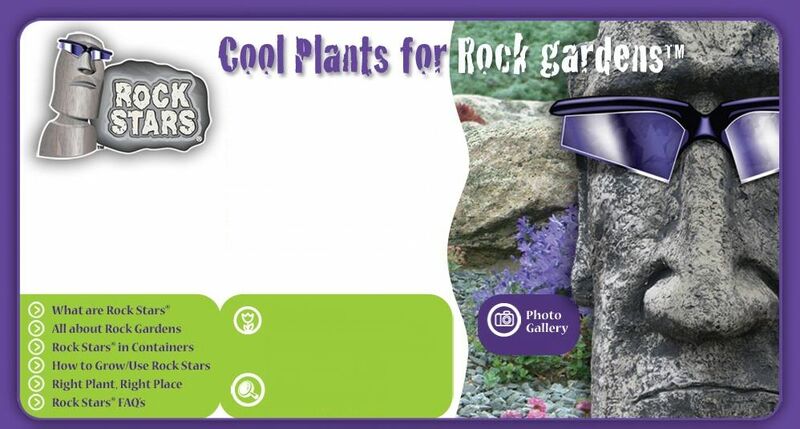 Introducing the real Rock Stars® - our exclusive collection of tough, cute and outstanding performers for your rock gardens and containers. Many of these are small in stature, huddling down among the rocks for protection from harsh drying winds, scorching sun, bitter winter cold, short summers and hungry mountain goats! Click around and learn how to create the best-dressed rocks in the whole neighbourhood!